The baby Bronco is expected to slot between the EcoSport and Escape in Ford's crossover-heavy lineup. 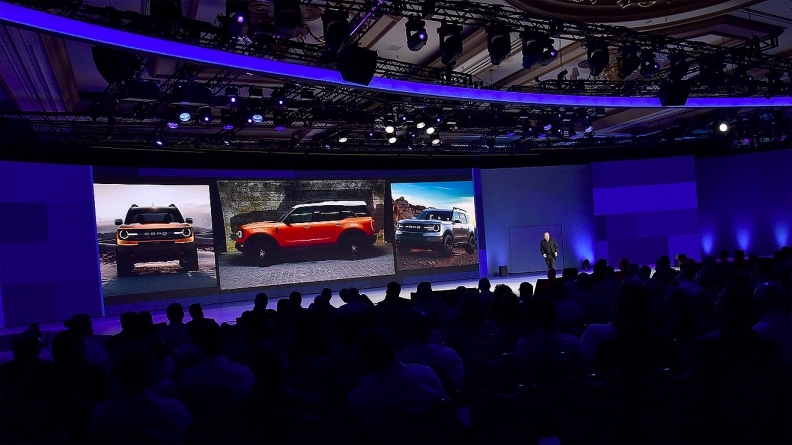 Photos leaked from Ford Motor Co.'s annual dealer meeting last month in Las Vegas provide the first public look at the so-called baby Bronco, an upcoming off-road compact crossover. The vehicle, expected to slot between the EcoSport and Escape in Ford's crossover-heavy lineup, will debut in 2020 as a smaller companion to the Bronco SUV also due out that year. A name has not been announced, but one possibility is the Maverick, reviving a name that Ford used in the 1970s and trademarked this year. The images were first reported Tuesday morning by Off-Road.com, which believed them to be of the Bronco. They show front, side and three-quarter views. 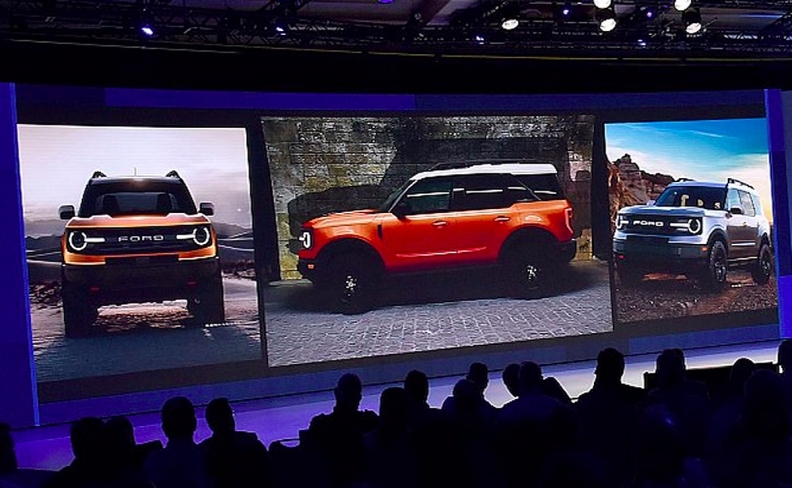 The vehicle has round LED headlights and "FORD" stamped on the grille without the company's blue oval logo, consistent with a teaser image of the Bronco companion that Ford showed this year. In the side view, the vehicle sits in front of a more boxy silhouette that is consistent with teasers of the Bronco that Ford has shown. Ford, in a statement Tuesday, said it doesn't comment on speculation. Jim Farley, Ford's president of global markets, told reporters last month that dealers were not shown any images of the Bronco at the Las Vegas meeting, although he did tease them with a shot of his own 1973 classic.